Hunters have until 11:59 (CDT) on Wednesday (Aug. 15) to buy a raffle ticket for a rare permit to hunt elk in Tennessee. The tickets, which cost $10 each, are available for purchase online here. In addition to the hunting permit, Bass Pro Shops will award the winner a Tikka T3X Lite Stainless bolt-action rifle in 7mm Rem Mag topped with an Oculus Pro Team HD 3x9x40mm rifle scope. Joey Woodard, Executive Director of the Tennessee Wildlife Resources Foundation, says as of Monday morning there have been more than 19,500 $10 tickets sold. 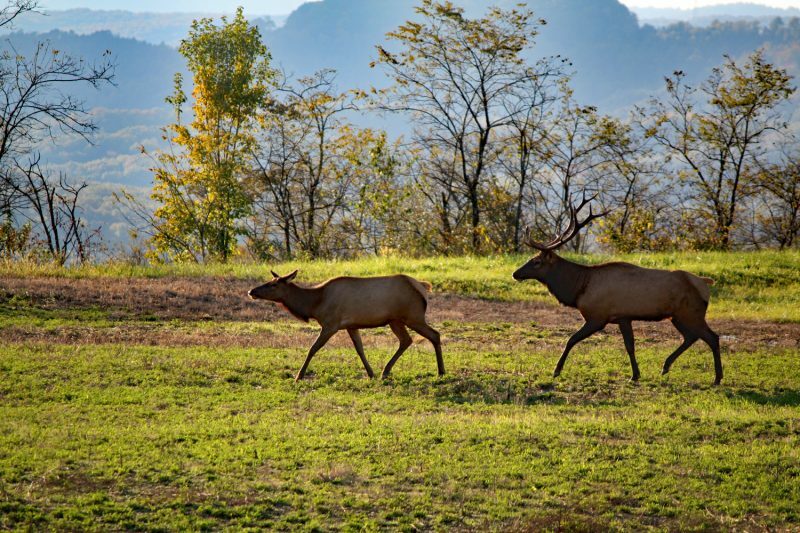 It seems clear that the fundraising “Non-Governmental Organization (NGO)” permit will raise more than $200,000 that will be used exclusively for elk management efforts in Tennessee. Previously the NGO permit had always been sold at auction. The highest amount every raised in one year was $17,000 the first year it was ever offered. But many people expressed concern that the high-priced auction scenario was only feasible for the rich and prevented most Tennessee sportsmen from being able to take part in the process. It is clear that in this first year, the raffle is extremely popular and will ultimately result in far more money available for elk management efforts. Woodard said the winner will be selected on Aug. 16. He said every ticket sold has been assigned a unique identification number (as well as the purchaser’s name and e-mail address). He said the identification number for each ticket sold will be entered into an excel spreadsheet. The winner, however, will not be announced publicly until the Tennessee Fish & Wildlife Commission meeting Aug. 23-24. The winners of the fourteen other elk hunting permits selected in a regular random computer drawing will be announced as well. In the NGO raffle Woodard said one person has purchased one hundred $10 tickets and three individuals have purchased 50 tickets. TWRA also “sweetened the pot” for the NGO permit by designating it specifically for Elk Hunting Zone #1, the zone that has become well-known as the most prized area in the elk hunting area on the North Cumberland Wildlife Management Area north of Knoxville. In addition, if the lucky recipient does not take an elk during the seven days designated for the regular elk hunt, they will be allowed to hunt for an additional seven days in any other elk hunt zone of his or her choosing. This year hunters who applied for the 14 random computer drawn permits were required to designate specifically which Elk Hunt Zones they prefer. That change could potentially increase, or lessen, each individual’s chances of being successful in the random draw depending upon the hunt zone(s) they designated. Some wildlife commissioners have suggested that TWRA should possibly seek other similar opportunities to raffle off special hunting opportunities. Woodard seems to agree. Again, the tickets, which cost $10 each, are available for purchase online here.